Dates is an original comedy sketch show written and directed by Somerville student Rebecca Heitlinger. From Tudor Tinder to Let's Pay Tribute to the Patriarchy, our varied sketches offer a feminist take on the trials and tribulations of dating in the modern age. We have a venue confirmed in Edinburgh to perform at the Fringe Festival from the 2nd-19th August and have been lucky enough to receive partial funding from Somerville's MTST programme and Queen's College 650th Anniversary Trust Fund. We hope to raise the remaining funds via crowdfunding to make our Edinburgh transfer a reality! In an era of social media, dating apps and third wave feminism, traditional dating practices are a thing of the past. A practice that once referred to a chaperone accompanying two lovebirds on a country frolic now refers to a hook-up in an Asda carpark. Ambiguity over the acceptability of your dowry to potential suitors has been gradually replaced by ambiguity over the use of the aubergine emoji. The choice between marrying one of your three first cousins in Continental Europe has been widened to meeting any singelton within a fifty mile radius. What is the result of these changing social norms, gender roles and dating practices? Comedic potential. Our production company, Balagan Productions, consists of 6 actors, 2 co-producers, 1 sound and lighting manager and 1 designer, all of whom are students at Oxford University. We are a diverse bunch: from undergraduate linguists and chemists, to graduate students in English Literature and Social Policy, we are all united in our love of comedy. Dates was originally performed in Oxford at the Burton Taylor Studio in November 2016. After a completely sold-out run and positive reviews, we realised that our anarchic show would be perfect for the Edinburgh stage. Many of our cast and crew are hoping to pursue careers in the arts, from writing and performance to illustration and design, and hope that the experience of putting on a show in Edinburgh will be a springboard for further opportunities. We are not your typical comedy sketch show: Dates was written to specifically address the lack of female representation in both the Oxford and wider comedy scene. The show is somewhat unique in that the funniest characters, dialogue and scenarios are reserved for female performers, just as the comic angle hinges on a female perspective, rather than at the expense of women. 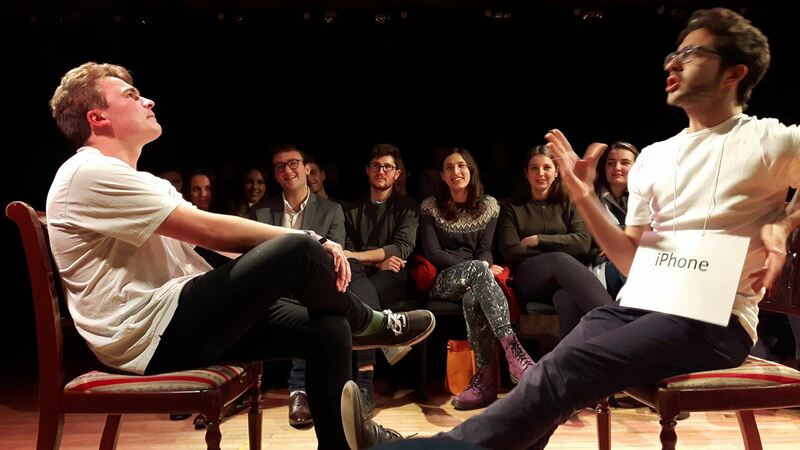 We aim to challenge, to surprise and most, importantly, to make our audiences laugh! By donating to our project, you will be supporting new writing, female comedy and emerging performers, artists and writers. Therefore we need to raise the remaining £2735 via crowdfunding. We are extremely grateful to everyone who donates, whatever the amount might be. Check out our rewards to thank those who make a donation. 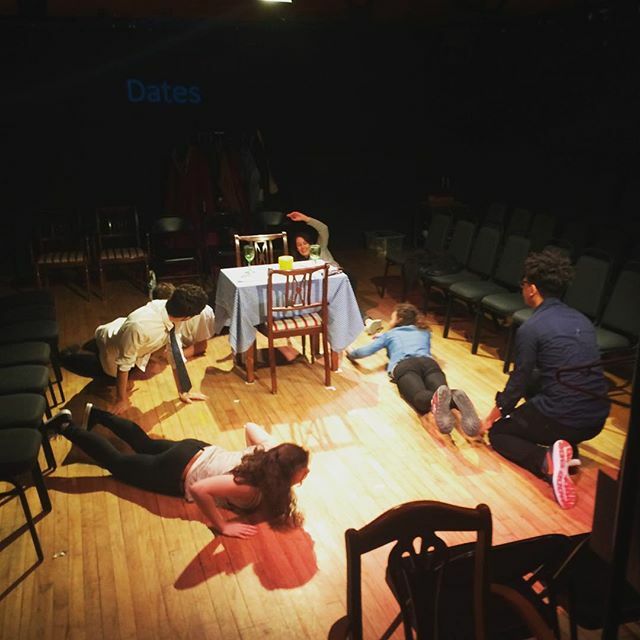 The original cast warming up for opening night, November 2016. Oli and Alex, original cast members, in a sketch called Connections. 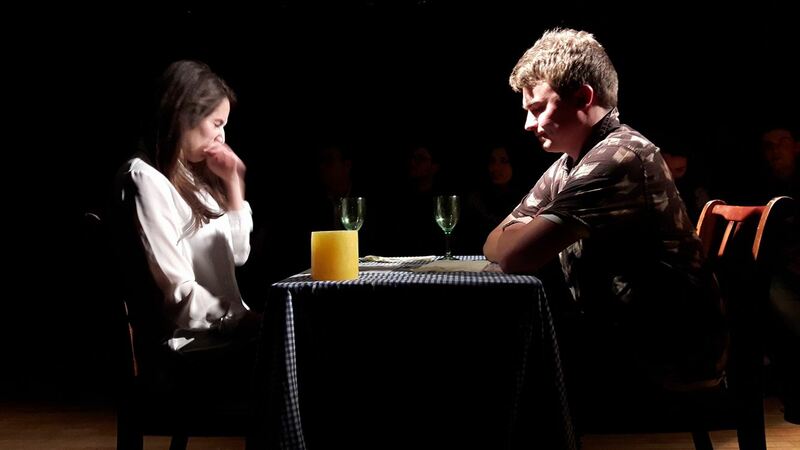 Sarah and Oli, original cast members, in a sketch called Speed Date. We understand that you may not be able to support us through donations. However, if you were able to share our page and like us on social media, we would be extremely grateful. The more momentum our project receives, the more likely we are to achieve our target!